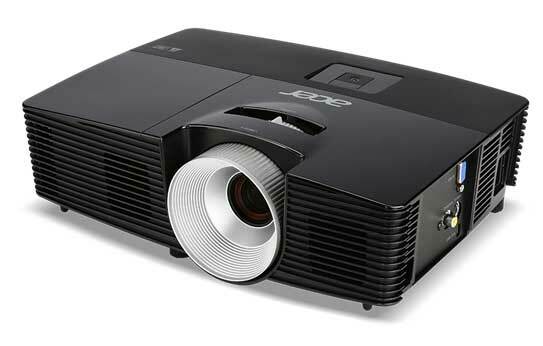 Acer X113 DLP SVGA 3D Projector, 2800 Lumens, 800 x 600 Res, Contrast 13000:1. 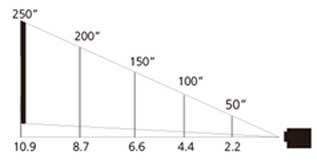 Up to 7,000 hours of lamp life the maximum offered saves lamp replacement costs and allows long-term, dependable projector use. DynamicBlack (Lamp, 13,000:1) DynamicBlack technology dramatically improves image contrast by using dynamic lamp power adjustment according to the analysis of content frame by frame. Acer projectors featuring this technology dynamically adjust dark scenes to optimal black levels while maintaining the original brightness of bright scenes, resulting in the most vivid image quality and a very high contrast ratio of up to 13,000:1. PIN Security A feature that enables projector password control, preventing the projector from unauthorized use, and reducing the possibility of the projector being stolen. The Acer X113 projector features high brightness and contrast ratio for showcasing vividly detailed text and images. DLP 3D Ready capability makes work presentations more convincing, and home entertainment more exciting. Acer ColorBoost II+ technology improves optical colour performance based on lamp spectrum and colour wheel properties, enhancing the natural colour temperature to achieve optimal colour balance and content-based colour brightness. Also, everything comes to life with crystal clarity thanks to exceptional SVGA resolution and 3000 ANSI lumens high brightness. Acer ColorSafe II technology virtually eliminates colour decay such as the yellow or green tint on images displayed by some projectors that have been used for extended periods of time and takes advantage of DLP technology to guarantee picture integrity despite prolonged use. It uses dynamic RGB gain control to better secure colour fidelity as compared to traditional DLP projectors. The Acer X113 projector and a PC or an A/V device supporting 120 Hz output deliver a flicker-free 3D experience. The DLP 3D kit features DLP Link 3D glasses for seamless 3D data transmission. With the Sealed Optical Engine design, the projector can be prevented from the accumulation of dust or even smoke, which may seriously impact the optical performance, resulting the reduced brightness and faded colour of the displayed image. Acer EcoProjection is an efficient power management solution that reduces standby power consumption by up to 90%, from 5 W to 0.5 W. Also featured in the Acer EcoProjection suite is Acer ePower Management for customised power-saving configurations.